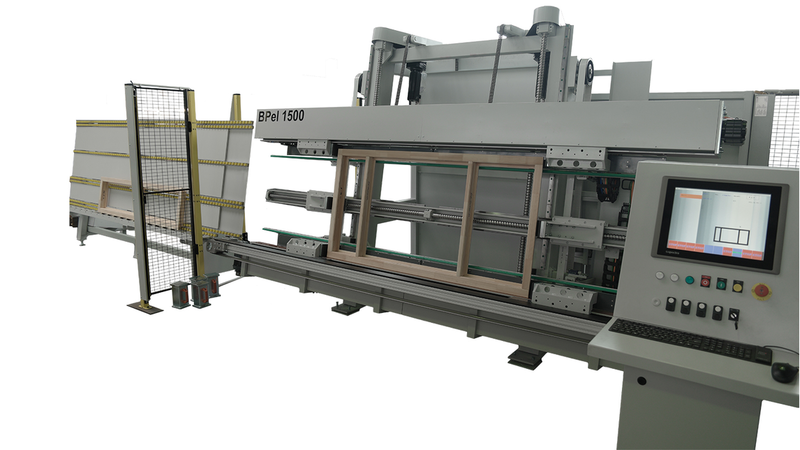 Homepage>Exhibitors & Products >fully automatic beam-press "BP el"
This fully automatic beam press allows loose insertion of the individual pieces of wood directly into the press area without prefasteningor presticking. Due to the short, fitted press corners the frame parts only are supported on the ends. Computer controlled size and tool adjustment through parametric programming at the control panel or program download through integration in a manufacturingexecution system. Due to the modular conception and the wide accessory program this machine can be individually customized to all press tasks. This technically mature, field proven, fully automatic beam press ensures the continuous one-man operation for an efficiency-oriented window production.